Southern inspired piece in American Black Walnut. 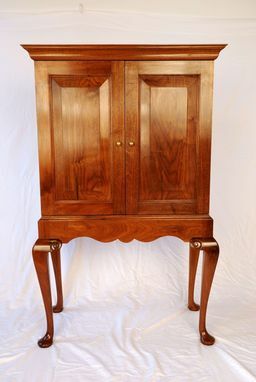 Long cabriole legs with pad feet serve to lift and "lighten" the more substantial cabinet containing three shelves behind two raised panel doors. This piece can be used for general storage or modified to serve as an entertainment center where you don't want technology to be on display.